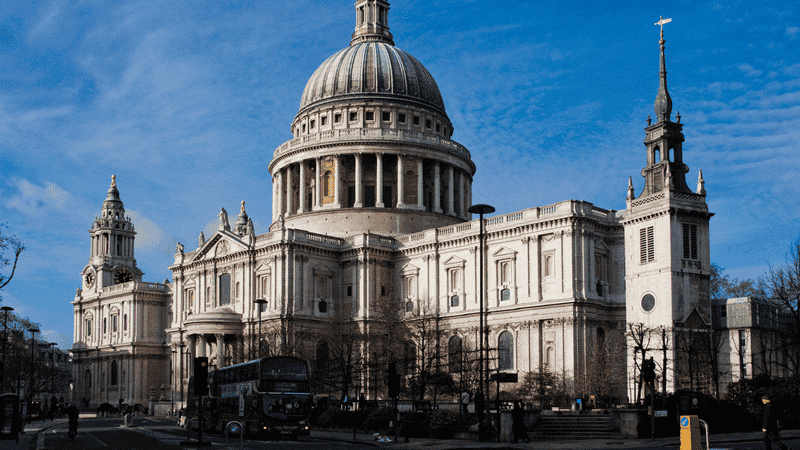 A street preacher has been arrested outside St Paul’s Cathedral after cathedral staff complained about him reading from the Bible. Allan Coote, a bus driver from east London, was arrested for a breach of the peace when he said he would continue to lawfully read Scripture. The evangelist said that no passers-by had ever complained. Video footage from a separate occasion shows a police officer telling St Paul’s staff that Mr Coote was not breaching the peace. The officer adds, “it would be remiss of me to move him on in a place of worship”. Mr Coote has accepted that he has a “natural, booming” voice. St Paul’s said it would allow Mr Coote to read from the Bible for 30 minutes per week – it has a policy of ‘limited disturbance’. Colin Hart, Director of The Christian Institute, said: “We don’t know anything about the circumstances of this case other than what has been reported in The Times. “However, we do know that wrongful arrests can be made, even though there are good laws which have protected street preachers time after time. The law affords extensive freedom for street preachers. A breach of the peace requires someone to speak so provocatively as to move someone to “not wholly unreasonable” violence. In a landmark case where a group of street preachers were vindicated, Lord Justice Sedley said freedom of speech “includes not only the inoffensive but the irritating, the contentious, the eccentric, the heretical, the unwelcome and the provocative provided it does not tend to provoke violence. In that 1999 judgment, Lord Justice Sedley also remarked that for police officers to view preaching from the Bible as likely to incite violence was both “illiberal and illogical”, particularly as it is preached weekly in churches, and broadcast on national radio daily. The judge added: “A police officer has no right to call upon a citizen to desist from lawful conduct.